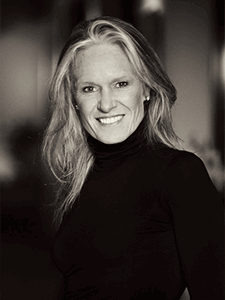 Janique Svedberg is trained as addiction therapist, Recovery coach, sober companion, international interventionist and has a masters degree in ICF & NLP at The International Institute for Trauma and Addiction Professionals, ARISE Intervention and Office of Alcoholism and Substance Abuse Services. Her company Road To Recovery NYC assist clients globally with services such as Interventions, Recovery Coaching and Sober Companions. 2015 Janique worked as the director of treatment at Valet Recovery Center in Sweden. Ian Young is a man who wears many hats but no masks, who uses his experiences to see how he can benefit others, be that through his work or in a personal capacity. He’s always happy to help. Ian has over 15 years as an Addiction Consultant, successfully touching the lives of thousands of addicted people and their families, showing them a new way to live and encouraging them to rebuild their lives without their destructive patterns or influences once and for all. 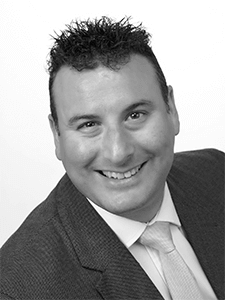 Ian is the founder of two large rehabilitation facilities and continues to offer consultancy to many others. His company Sober Services (since 2008) offers bespoke packages of treatment to individuals and their families ravaged by addiction, best known for their Sober Companions and respected for their Sober Interventions. Sober-Academy was launched in 2008 to support those people wishing to work within the professional addiction treatment industry and to deliver the unique courses previously only available in the USA that Sober Services offers, therefore able to train his own staff and to recruit new ones. Ian is a published author as well as an outstanding and charismatic speaker and trainer, very comfortable presenting and solving problems from the stage. It is his natural skill of engaging both large and small audiences that has taught Ian to exploit his organic talent of being a positive influence over individuals, for whom any encounter is both up lifting and thought shifting. Ian’s style is dynamic, inspiring and enthusiastic. Ian was trained as a trainer in 2010 and has been delivering his own content since the launch of Sober-Academy. He is also a well sought after MC hosting events and seminars for other talented people. His charismatic and intelligent approach to business and projects alike brings an exceptional edge to all those fortunate enough to train with him and experience his energy, humour and passion. With his background and his understanding of the psychology of the human condition, Ian makes a unique addition to the human gene pool.